drinking place. Evidence of the use of the building by the Germans is still evident in the wall abutting the road where a large panel of the decorative stonework has been rather badly replaced. The replacement was necessitated by the German removal of a portion of the wall to enable the ammunition lorries to back up to the wall for the delivery of the large shells, which were then transported into the Chapel by hoist and tackle and stacked vertically. After the liberation of the Island there was some renovation to the building which was re-opened for worship in March 1946. However the use of the Chapel by the Germans had lingering unseen affects which came to a point of crisis in 1972 when it became obvious that the removal of the ceiling joists had eventually affected the stability of both roof and wall structure and the church had to move out once more and also raise funds for the repair. 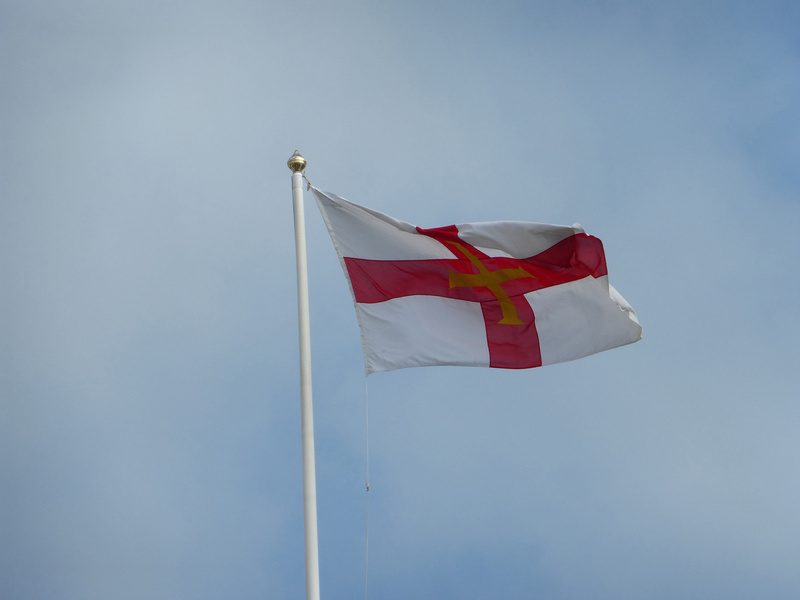 In St Peter Port, about halfway up the Tower Hill Steps on the westward wall is a memorial to the Guernsey Protestant martyrs. The memorial was placed there by La Villiaze Church as a Millenium project, and was unveilied at a commemoration service held on the steps on 24th April 1999. These tragic executions, which shocked the island at the time, are reckoned to be among the darkest days in Guernsey’s history. In a travesty of justice three innocent local women – Katherine Cawches and her two daughters Guillemine Gilbert and Perotine Massey – were caught up in political intrigue and accused of heresy during Mary I’s bloody reign. Their faith in Jesus Christ was unwavering and their bold belief in traditional Protestant truth resulted in their condemnation to be burnt at the stake. What makes this event so moving and infamous is that according to eye-witness accounts, Perotine gave birth to a son while on the pyre. He was rescued, only to be thrown back into the flames on the orders of the Bailiff, Hellier Gosselin. These barbaric events influenced the religious landscape of the island for hundreds of years. To mark significant anniversaries we continue to organise Martyr’s Memorial Services at the site of the plaque. All believers in the Lord Jesus Christ, who on, or about 18 July 1556, and near this site, were cruelly burned to death at the stake for their Protestant faith. The latter named was pregnant at the time of martyrdom and gave birth to a son in the flames. The child was retrieved but it was ordered that he be thrown back.